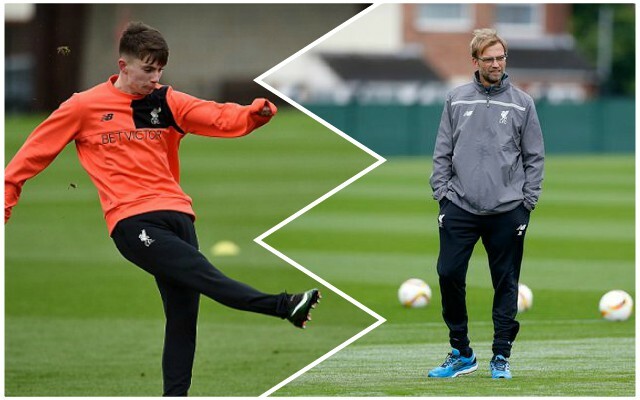 Jurgen Klopp has explained how he’s looking to send Ben Woodburn on loan before the end of the transfer window. The young Welshman was at Sheffield United during the first six months of the campaign, but failed to get the kind of minutes he needs to progress. In 2016, Woodburn became our youngest ever goalscorer, but has failed to progress in the manner in which many hoped. But Klopp has reminded fans that the player is still incredibly young and has a huge future ahead of him if he’s nurtured correctly. “Ben Woodburn is an outstanding talent, still pretty much a kid, and I am happy to see him here, running around, completely fit and really settled in the squad,” Klopp told Sky Sports. “In the summer, I think he lost a bit of patience and it was really long he was already with us,” Klopp added. “The first-team situation didn’t really change and then you maybe – and it’s normal and can happen – lose patience. “Then you have a rather average experience at another club and you come back and see here everything is still like it was before. “Now he trained [on Friday] for the first time so I think if something happens with a loan, then it will happen at the end of the week. Woodburn has superb creative qualities and quick feet; he just needs to be in the right environment to show it. For whatever reason, probably multiple, Bramall Lane wasn’t that place – but a smart Championship switch could still do him wonders. Harry Wilson is demonstrating that at Derby, for whom he has scored 12 goals in this term already.